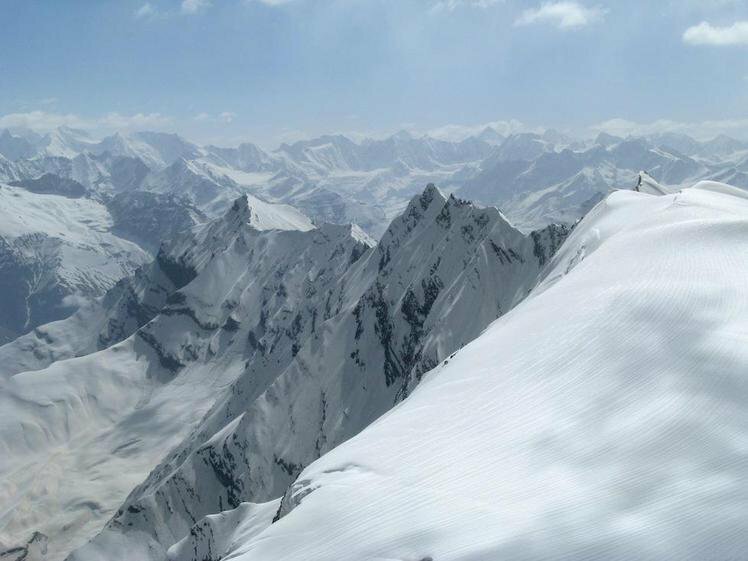 India has the mighty Himalayas and the breathtaking views they offer are a major reason to keep a space for a trek in your travel plan to India. When I need to achieve something, I always like looking at the result of it and I immediately feel motivated. 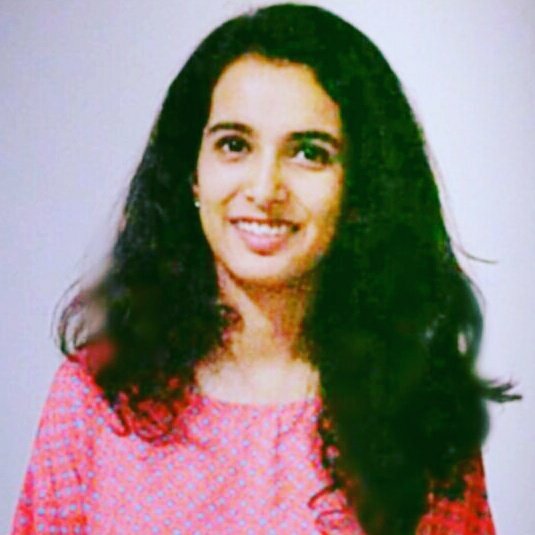 I believe treks in that context also always require motivation to plan and when you are done, the sense of accomplishment is so immense that every sorrow in the world can probably drown and fade away. Therefore, with each trek listed below, there’s a picture attached that I hope will motivate you to go for it! 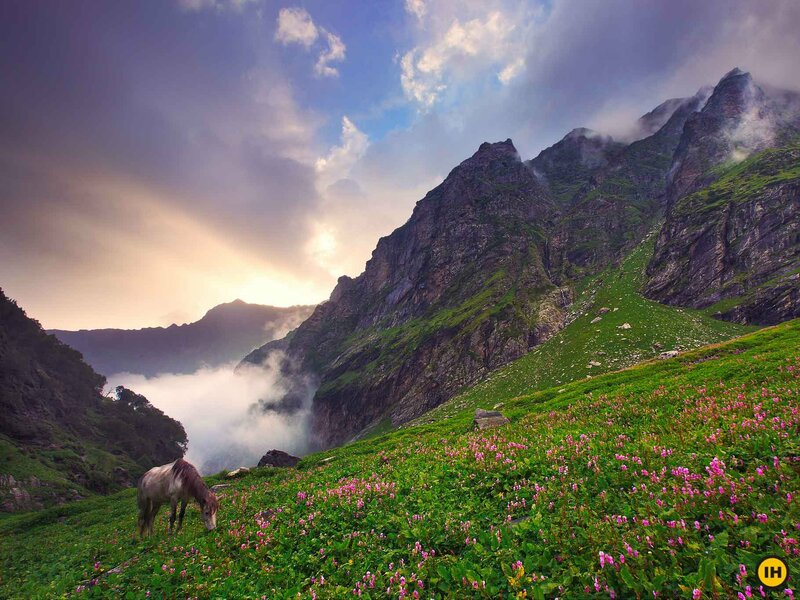 Hampta pass is situated in southeast of Manali. 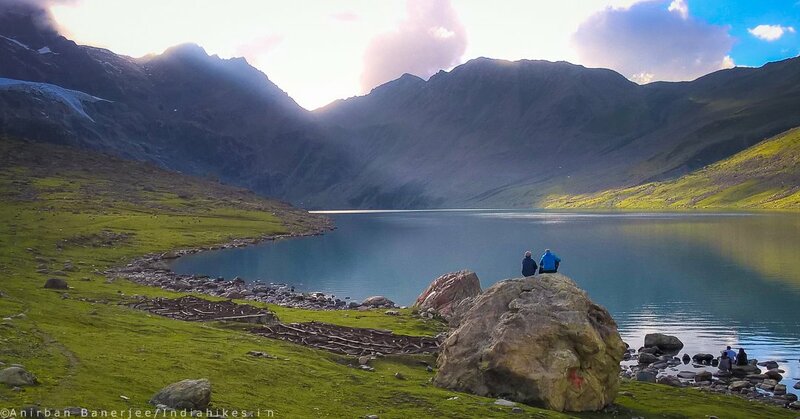 This trek will enchant the mountain person in you as this trek in Himachal pradesh is right in the lap of Himalayas. It is a moderate altitude trek which is ideal for the beginners. It is 26 kilometer long with an altitude of 14,100 feet. The trek is best suited from May to October and the time required is 4-5 days. The hard work pays off well as the result of the trek is as beautiful as this picture below. This trek is for the mountain lovers, the valley loves, the flower lovers, the spirituals, the botanists and for anyone you can think of. The trek is shared between Himalayas and the Zanskar Range. The valley is at the altitude of 11000 feet. The trek gives one the opportunity to visit the Hemkund Sahib Gurudwara which is very holy to Sikhs. Approximate time required is 6 days. Here’s a picture of what you’re aiming at while you’re on this trek. This trek starts from the Solang Valley near Manali and is headed to the source of the river Beas. The trek is one of the few cheaper ones. (Budget Wise) The trek is at height of about 12000 feet. It’s a moderate trek if we analyze the difficulty level. The best months to take this one on would be Many, June, September or October. The duration is around 3-4 days. Here’s what the view you will be aiming at looks like. The trek is to the Mt. Deo Tibba with its hanging glaciers. 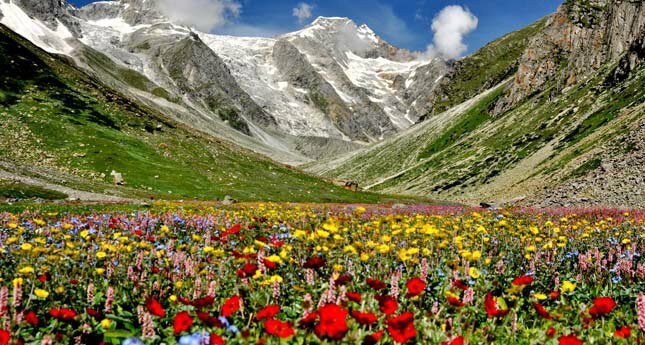 This trek too is in the Manali region and is about 6 days long. 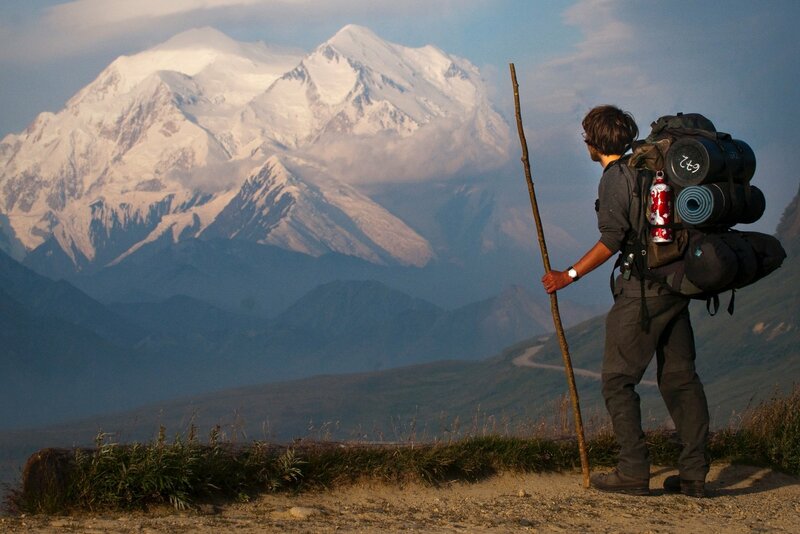 The trek helps one experience the mountains and the mountain life closely. One will see meadows, dams, glaciers, forests and all that one wishes to. This one goes as high as 13000 feet and even more. It’s a moderate trek if ranked difficulty wise. Here’s something to convince you to think about it. If you want a little new experience with a trek, here’s one for you. 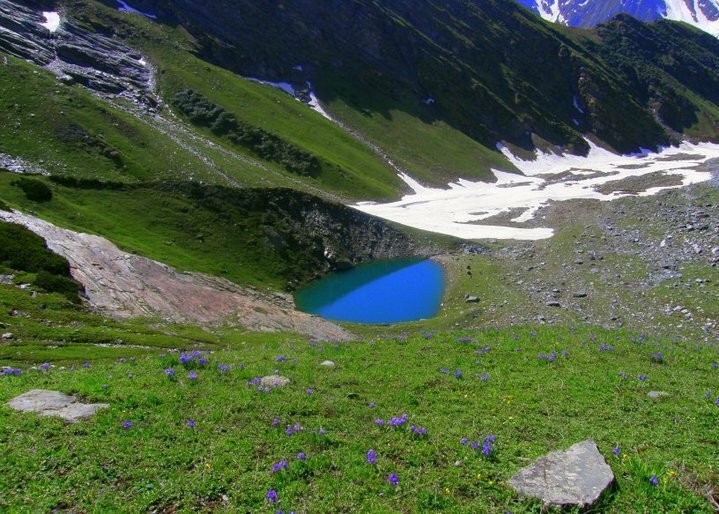 Kashmir needs no introduction for its beauty and this trek will let you see it closely. You will witness mountains, valleys, ecological zones, grasslands, crystal clear water, wildlife, trees and the mighty Himalayas. The trek is best to be approached anytime during April to October. The trek is 63 kilometers longs and almost 14000 feet high. The difficulty level is considered moderate and the trek usually lasts about 8 days. Here’s what is waiting for you at the end of the trek. Trabug comes with all the emergency services installed and helps you locate your nearest hospital/police station in the moment of need very easily. It helps you find ways as it has maps pre installed to make your trip hassle free.